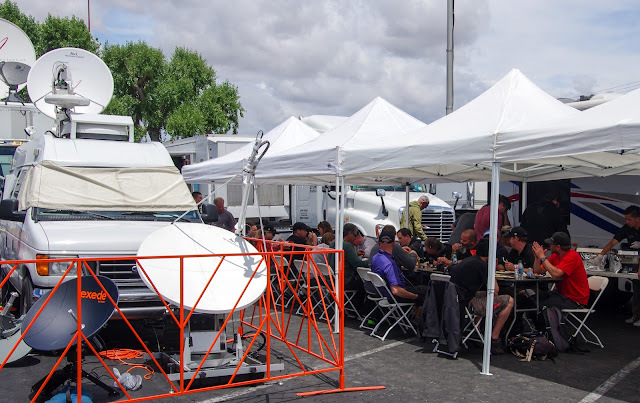 Did you know that Jelly Belly Racing Team has been together for seventeen years and is the only Pro Team based near San Diego, California, in San Marcus. Read more. Peter Sagan, the current Slovakian National Champion and current World Champion Road, will sign a new team contract next year and is reported to be seeking a salary of over 6 million. Considering that the entire Jelly Belly team operates under a budget of 1.5 million (and gives out free jelly beans), that is a lot of money for riding a bike. In the words of Bob Roll, "Is he worth it? I think he is absolutely worth it. 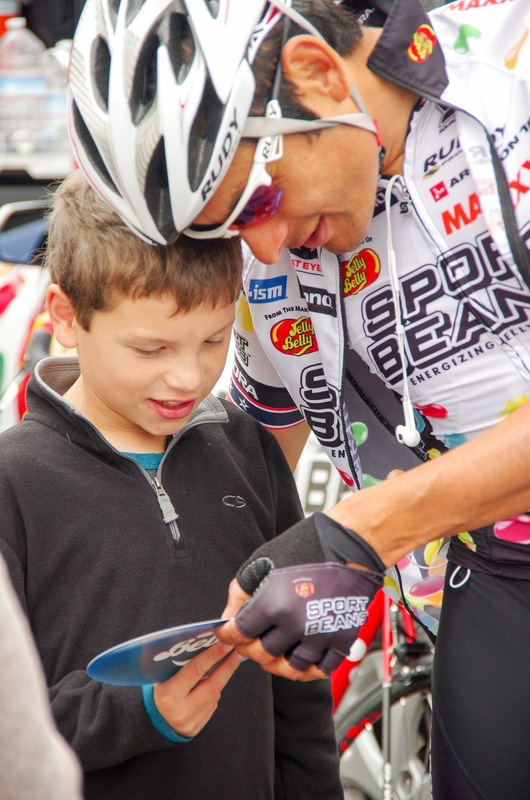 He is the best thing that has happened to professional cycling in a long while. He is a phenomenal rider." Peter will wear bib #1 as the defending champion of the Tour of California. Legendary basketball player Bill Walton is a familiar face at the Tour of California. He loves riding a bike. Read more Bill Walton Is All About the Bike, By Jason Gay at The Wall Street Journal. You might notice some changes in team names this year. Holowesko-Citadel is the old team Hincapie Racing. Rally is the old Optum. Team Dimension Data for Qhubeka is the old MTN-Qhubeka. Direct Énergie is the old Europcar team. 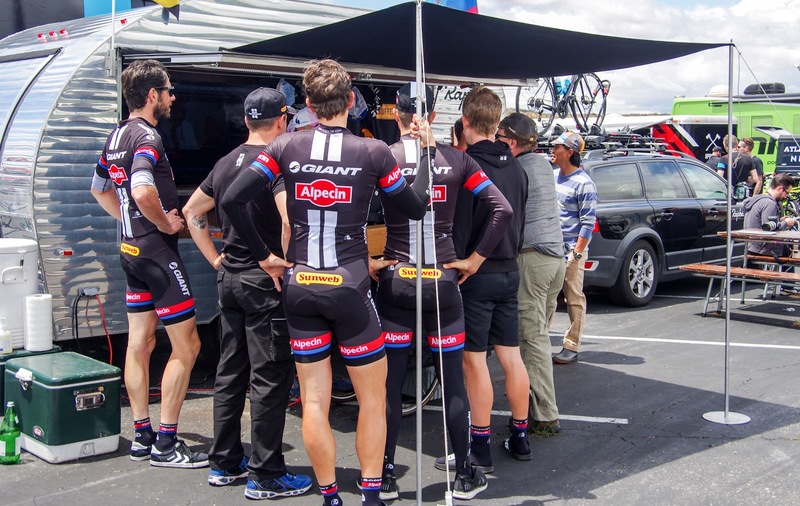 Axeon Hagens Berman cycling team morphed out of Bissell Development Team. Note that the names have changed but not every sponsor or rider on these new teams is the same. Did you know pro cyclist Taylor Phinney (BMC) is also an artist? And you have a chance to win a BMC bike custom painted by Taylor, enter bike contest on VeloNews. You might have known that Taylor's dad Davis Phinney works with the Davis Phinney Foundation for Parkinson's, did you know Taylor's mom Connie Carpenter Phinney is also a former Olympian cyclist and speed-skater, and a race stage announcer for women's pro cycling? Taylor's painted bikes look a bit like a Dario Pegoretti bike, read: A handmade Pegoretti bike, By Pedal Dancer®. Spectators at the women's race in northern California, are up for a real treat in watching Great Britain racer Lizzie Armistead (Boels Dolmans Cycling Team). Cycling News reports that Armistead is indeed heading to California to race. US road champion Megan Guarnier, women's UCI Hour Record holder Evelyn Stevens, and two-time world champion and Olympic gold medalist Kristin Armstrong will also compete in the women's race. We actually have another Host City for the Tour of California this year that should be acknowledged and appreciated - Modesto. Teams will be staying in hotels in Modesto between Stages 4 and 5 on May 18th. According to Lodinews.com, Modesto City Council voted to enter into an agreement (that agreement equaling a $75,000 cost in hotels and restaurants for teams and staff) with Amgen to host the riders over the one night, having finished the stage in Monterey, the teams will then travel to Lodi the next morning for the stage start. The Directeur Sportif for the Axeon Hagens Berman (USA) team is Jonkheer ("The Honourable") Axel Merckx, son of Eddy Merckx who has been made a baron in Belgium. The team's bike sponsor is not Merckx bikes, instead they race on Specialized bikes. Keep your eyes open at the race because Eddy Merckx has been known to visit looking like any other fan in the crowd. I have returned home only to look through photographs to realize "What? I was standing next to Eddy!" Stage 1 start time is 11:30 AM (the San Diego Local Organizing Committee has wrongly printed the start time as 10:30 am, this is incorrect). As at every other UCI race, riders must sign-in on the sign-in stage at least one hour before the stage start (some sign in with 10 minutes to go). There is also a customary singing of the national anthem before the start; these proceedings are not considered the official race start. The start time is solid (when the gun sounds), affecting road closures and TV coverage. So, show up early, but the race starts at 11:30 a.m.
Tourism is real business. 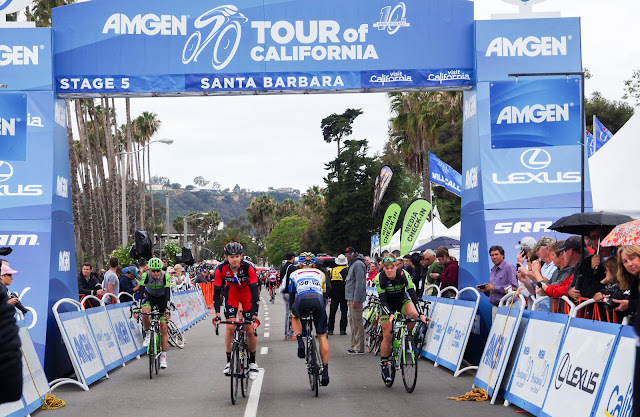 Host cities pay large sums to Amgen Tour of California to host a stage start or finish. Their motivation is to increase tourism by being seen on TV, and boosting visitors on race day and repeat customers. Lodinews.com reports encouraging statistics overall from 2015, with the Tour of California one of their biggest events of the year, "Lodi Wine and Visitors Center has seen a 21 percent uptick in walk-in customers, and the number of visitors to the Visit Lodi webpage have increased by 163 percent. Hotels are reporting as high as 85 to 92 percent occupancy rates." Team Novo-Nordisk deserves your attention. 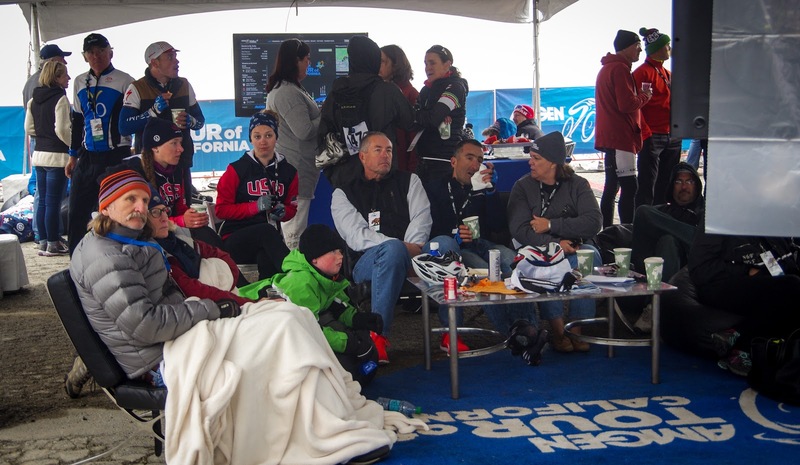 They are not only a team sponsored by a manufacturer of medications for diabetes, they are a team of riders who have been diagnosed with diabetes. Not only inspirational but educational for young athletes wanting to understand the potential of their disease and being an elite athlete. 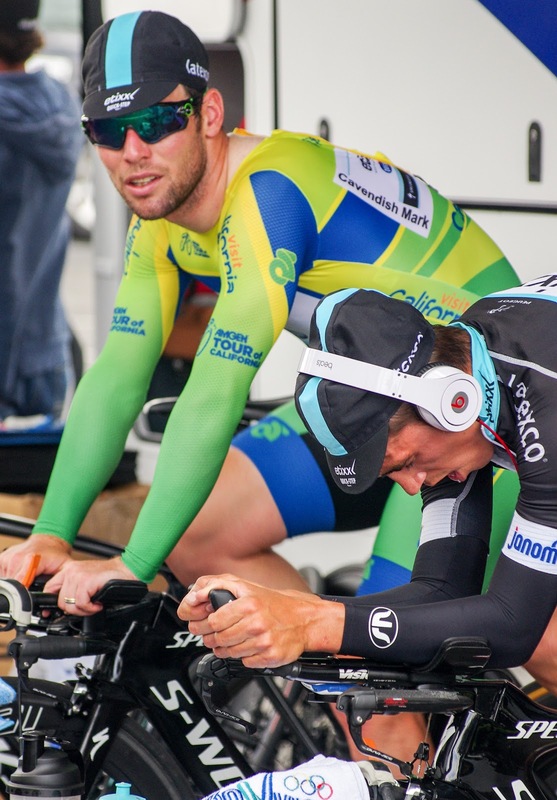 Read more in an interview out of the U.K.: Former Team Novo Nordisk cyclist Joe Eldridge discusses his type 1 diabetes management. Also read Type I Training Tips from a National Champion (track), written by Mandy Marquardt of team Novo Nordisk. Not only did ex-pro Jens Voigt participate in this year's L'Etape California, the day when amateur cyclists took on Stage 3 of the Amgen Tour of California (from Thousand Oaks up Gibralter Rd to La Cumbre Peak in Santa Barbara), but you are guaranteed to meet and get a signed autograph from Jens during two Meet and Greets, with a limited number of fans, in conjunction with V.I.P. Passes purchased in Santa Clarita or Monterey, by paying $65 extra for a 1-on-1 with Jens. Go to this page select more info to ask about meeting Jensie. Or complete this form. This year citizens who are cancer survivors, caretakers or those affected by the disease will have the opportunity to participate in the Breakaway Mile (walk) in three host cities: San Diego, Santa Rosa, and Sacramento. Register for the Breakaway Mile. 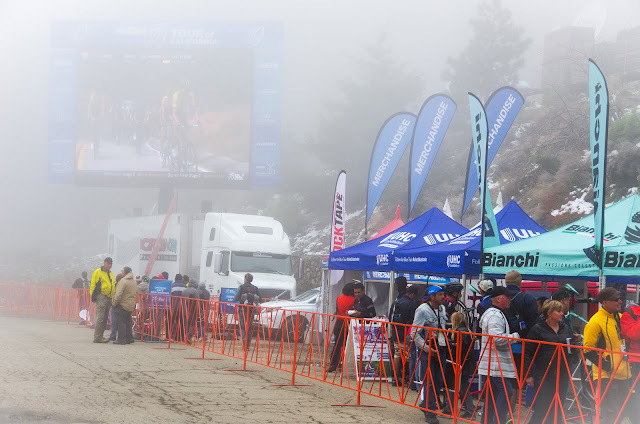 There are some firsts for the 2016 version of the Tour of California. This will be the first time the race has finished up Gibralter Rd to La Cumbre Peak in Santa Barbara, the first time Morro Bay has hosted a stage start, and the first time the race has ridden on the Mazda Raceway Laguna Seca in Monterey County. This will also be the longest distance (almost 800 miles) covered in the race with the most climbing (about 65,000ft). 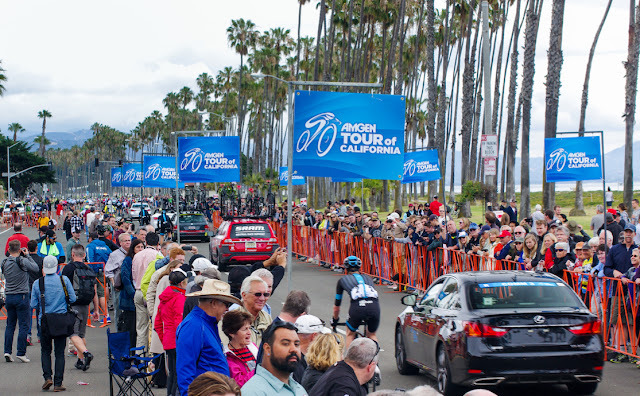 In this old piece on Bike Forums, Eric Smith, now Race Technical Director for Amgen Tour of California, Eric explains the process for creating the race route well in advance. Tour of CA "How-To" by Eric Smith. For fans of the Spring Classics in Belgium and France, Peter Sagan (Tinkoff) recently won both Gent-Wevelgem in Flanders Fields and Ronde van Vlaanderen / Tour des Flandres. While young Logan Owen (Axeon Hagens Berman) won the Under-23 Liège-Bastogne-Liège title and Jon Dibben (Team Wiggins) won the 2016 U23 Tour of Flanders version. Huge victories. Sponsors: According to the bike blog The Inner Ring, Katusha's team name "is an abbreviated version of Ekaterina, Catherine in English and a famous Soviet wartime folk song in Russia." They are also the only WorldTour team at the Tour of California to be using SRAM components. Did you know Segafredo is one company making up the MZB group based in Italy, the group is the world's largest coffee producers. Did you know team Tinkoff gets its name from Oleg Tinkoff who built his business fortune brewing upscale beers for young professionals in Russia. Did you know the South African team Dimension Data is also sponsored by Deloitte, based in New York City, the company is the largest international professional services network in the world by revenue. And I am grateful they like cycling. The city and county of San Diego have gone all out as the start host city for the 2016 Amgen Tour of California. Engaging businesses and local community support, they have many pre-race and Stage 1 activities planned for locals and visitors, including a celebration for the team presentation. More information: San Diego ATOC. The annual Luther Burbank Rose Parade will take place from 12:15-2:15 p.m. in Santa Rosa on the same day as Stage 7, while the peloton is out on course. Joan Lunden, a breast cancer survivor, will be Grand Marshall of the parade in Santa Rosa, more information. A particularly good deal is the VIP Hospitality Pass in San Diego ($209). The start line and finish line are not in the same place, but there will be VIP tents at both locations. I was told by the VIP Experience salesperson that a purchase of the Finish VIP pass in San Diego will get you into both places at the start and finish. Start VIP Hours will be from 10:00AM - 12:00 PM. Finish VIP Hours: 10:00 AM - 4:30 PM. 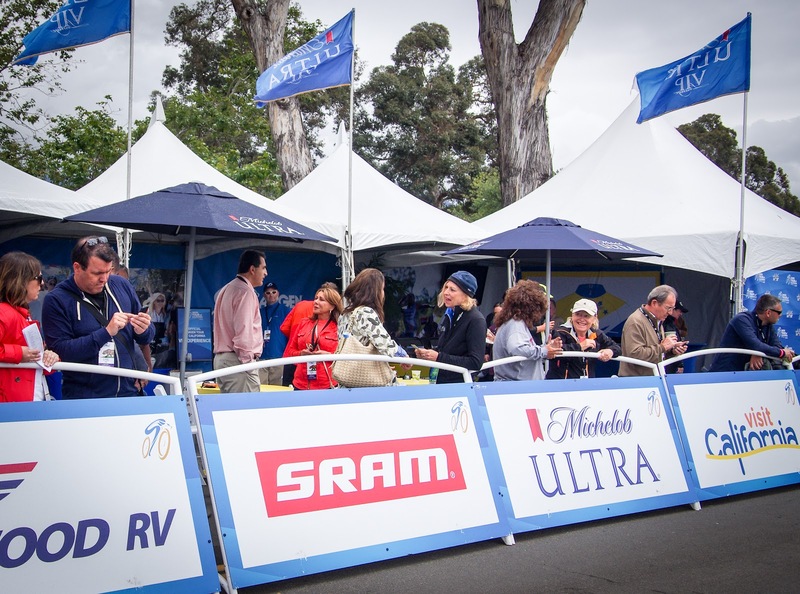 Stage 7 in Santa Rosa will be another long day in the comfort of the VIP tent. Buy VIP tickets. This year, Stage 3 up Gibralter Road to La Cumbre Peak KOM is the Queen Stage of the Tour of California. Stage 7 in Santa Rosa is calling itself the King Stage, but is also the Penulitimate stage. While many America pros are now living in Girona, Spain, or Nice, France - Dutch pro rider Laurens ten Dam (Giant-Alepcin team) now lives in Santa Cruz, CA with his family. Americans Andrew Talansky and Peter Stetina live in the Santa Rosa area of California. Deep on the TOUR OF CALIFORNIA GUIDE PAGE for fans at PedalDancer.com, original content has been compiled with great care to help the spectator learn more about the sport of professional cycling and have an enjoyable day at the race based on good information; leaving you free to have fun!